Marian Apostol, Marian Apostol is a scientific researcher and professor of the oretical physics in the Institute of Atomic Physics, Magurele-Bucharest, Romania. In the past 4 years he worked also as a hired consultant for MiraTechnologies, Bucharest, Romania. Apostol is an expert in condensed matter physics, atomic and nuclear physics, with a high record of scientific and technical publications. Stelian Ilie, Stelian is an electronics engineer, with a university degree in telecommunication. He implemented several projects in security and defense and devoted his career to promoting and managing high-tech activities in this area. Stelian started and developed successfully MiraTechnologies, Bucharest, Romania. Aurel Petrut, Aurel Petrut is an electronics engineer with a vast experience in various areas of electronics equipment. In his career he assumed difficult, special tasks on many occasions, always with a successful output. In the past five years he was associated with MiraTechnologies, Bucharest, Romania, where he brought many valuable contributions and where he enjoys a high esteem and appreciation. Marcel Savu, Marcel is a chemical engineer, with an extensive activity in scientific research. He devoted a large part of his career to conducting and implementing complex scientific projects, both at national and international level. He is associated with MiraTechnologies, Bucharest, Romania, as a scientific and technological expert and a director of research and development. Stefan Toba, Stefan started his career as a high-school teacher of Physics in Bucharest, then became a University College Professor of Metrology and Applications of Nuclear Physics. At the same time he worked as a scientific researcher in X-ray diffractometry, X-ray fluorescence analysis, electronic microscopy and non-destructive control. He turned then to chief inspector in the Romanian Agency of Nuclear Activities, which is the national regulatory body in the field. In the past several years he was a scientific researcher at MiraTechnologies, Romania. 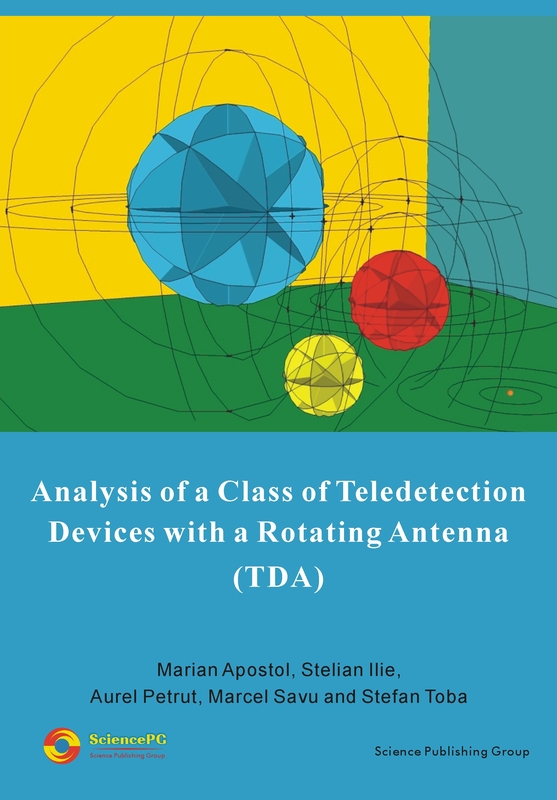 The present book reports upon the results of scientific and technical research conducted for five years, between 2009 and 2013, by a group of cca 10 scientists, engineers and technicians at MiraTechnologies, Bucharest, Romania, upon some devices of remote detection with rotating antenna. It is known that an important problem today in our society consists in combating the terrorist acts by detecting explosives or narcotics, as well as other illegal materials. Of course, a remote detection is the most desirable one. There exists, since long, on the international technological markets a series of devices which seem to be able to perform such a remote detection. All these devices (some of them reviewed in the book) share as a common element a rotating antenna which can swivel about its axis and point to the target in the field. These devices, which evoke a charming rod, a magic wand or the famous dowsing rod, have the aspect of a rather small device, like a pistol, which the operator holds in hand. The functioning of these devices was never convincingly proved, and their validity is controversial. MiraTechnology became interested in such devices and, about 2009, started to assemble a team of researchers in order to help clarify the functioning of these curious devices. The studies carried out by these researchers (their leaders are this book’s authors), both experimental and theoretical, resulted in a series of scientific publications listed below. The main conclusion of these studies is that there exist firm principles in science which make possible the functioning of such devices. The results of these studies are presented in this booklet.